Game of Thrones is dominating the secondary whisky market. The television series themed releases are flooding the auction platforms with never before seen number of trades. Meanwhile prices for japanese single malts soar up, again. A whopping eighteen-thousand price observations found their way into our database last month! This prices affected almost 8.800 different whiskies. Note that due to the slowly changing auction rythm of WhiskyAuction.com, we assigned both their 2019-03 and 2019-04 auctions to March 2019. Nevertheless, it was an outstandingly busy month on the auction platforms we track. Our major market indicator, the Whiskystats Whisky Index (WWI), was not very impressed by the number of bottles traded. In March 2019, the historically 500 most traded whiskies lost 0.4% in value. After the turbulent movements we witnessed over the last twelve months, one might wonder how long it takes for the WWI to break out again and whether the direction would be north or south. There is nothing quite like the price history of Japanese single malts. The Japanese Whisky Boom of 2014 and 2015 saw our Japan index increase by 300% within one-and-a-half years. What followed was three years of sideward movements were prices stabilized and our index settled in at around 400 index points. Then the year of 2018 came along and prices climbed significantly again as our index gained around 140% until late summer of last year. During the winter months the market calmed down, at least so it seemed. In March 2019 the 100 most traded Japanese single malts gained 5% in value. So lets find out which of the japanese whiskies in our database caused this index movements. The Hanyu Joker (Coloured) now reached an average price of 3.000 Euros this month. Interestingly, it was traded for 3.460 Euros at WhiskyAuctioneer.com but only for 2.560 Euros at ScotchWhiskyAuctions.com. The Karuizawa 31yo Golden Geisha reached 10.000 Euros again while the Karuizawa 33yo (1981) Single Cask 136 is slowly approaching the 4.000 Euro threshold. But it is not only these legacy releases which are highly sought-after. Take the Chichibu IPA Barrel Finish which almost reached 500 Euros. Or the Chichibu Port Pipe Cask 1825 which is now selling for more than 1.000 Euros. Even the just released Chichibu Single Cask 1179 sold for more than 1.000 Euros at WhiskyAuctioneer.com. Together with the more “humble” prices at WhiskyAuction.com this results in an average price of a 800 Euros for a release that was offered in selected whisky shops for comparable little money only weeks ago. 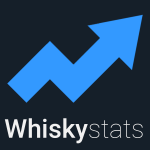 Unless Whiskystats is the only website you visit, chances are high that you heard of Game of Thrones recently. The most popular television series of this decade comes into its final season and Diageo decided to ride the hype-train too. The various releases, each dedicated to a major faction within the lore of the series, are all over the place and arrived on the auction platforms in no time. According to our monthly summary, the Lochnagar (House Baratheon) release is the most traded whisky of the month. A staggering 239 bottles were sold on auctions. With 193 trades the Clynelish (House Tyrell) takes the second place followed by the Oban (Night´s Watch) edition (170 trades). Also among the top ten most traded bottles of the month is the Lagavulin (House Lannister) release. In total we observed 786 trades for all of these Game of Thrones releases which equals more than 4% of the whole market! Some of these releases achieved very remarkable results too. Prices for the Clynelish (House Tyrell) averaged to 137 Euros but went as high as 220 Euros. Same is true for the Lochnagar (House Baratheon) release. Based on the number of trades and the prices paid, it seems like the Clynelish, Lochnagar and Oban expressions are the market favourits of the collection. As every month, keep an eye on the change in value of your personal collections too! This topic contains 0 replies, has 1 voice, and was last updated by Whiskystats 1 week ago.